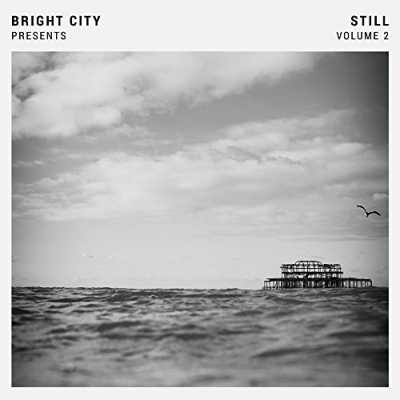 Inspired by Psalm 46:10’s admonition to “be still and know that I am God,” Integrity Music offers a new installment in its Still series of instrumental albums with Still: Volume 2 featuring Brighton-based collective Bright City. The project, which offers interpretations of modern worship songs to create a backdrop for prayer and meditation, follows last year’s acclaimed series debut from Manchester band Rivers & Robots. Read More Inspired by Psalm 46:10’s admonition to “be still and know that I am God,” Integrity Music offers a new installment in its Still series of instrumental albums with Still: Volume 2 featuring Brighton-based collective Bright City. Each album in the Still series features a different artist-producer, presenting a unique aesthetic and a listening approach to worship for both individuals and churches. Emotive and reminiscent of a film score, Still: Volume 2 combines electronic instrumentation and strings as Bright City delivers an atmospheric slant to their own compositions along with songs from Hillsong United, All Sons & Daughters, Martin Smith and others. Located in the seaside resort of Brighton - hometown of artists as diverse as Adele and Fat Boy Slim - Bright City is a family of performing and visual artists based in St Peter’s Church under the leadership of Vicar Archie Coates. Founded in 2009, St Peter’s has become a chaplaincy for creatives in the area, including songwriter/worship leaders Matt Redman and Martin Smith (Delirious?). Before beginning work on Still, Bright City released two original projects, a self-titled album and Hello Maker, which includes "Rock Of Our Salvation". A modern and energetic version of 'Our God Reigns' really does set the tone of the album from the off. That intensity and creatively modern style spills out all over the album, from 'Great Are You Lord' and 'Here For You', to a stunning and atmospheric version of 'Spirit Break Out'. Everything on this album feels so current. These are not quickly put together versions of these well known, and maybe not so well known, songs - they haven't simply taken the vocals out and put the songs on a CD. These versions actually speak so powerfully even without using lyrics. As with Volume 1 in this fantastic series, the same thought pops into my head. This not a background album that you use in your quiet reflective prayer time. (Although you can do). For me I would use these songs when you are crying out to God in prayer and worship. This isn’t a quiet reflective instrumental album, it’s so much more. I’m sure you personally, as you listen, will find the tracks that speak to you more than others. But as a compete album the songs all fit so nicely together. The guys at Bright City have taken time to work through these songs and make them their own and have done a wonderful job of that.